Colorful, whimsical, and now practical, these are the words to describe Tyler’s (Legohaulic) Christmas present for his sister. 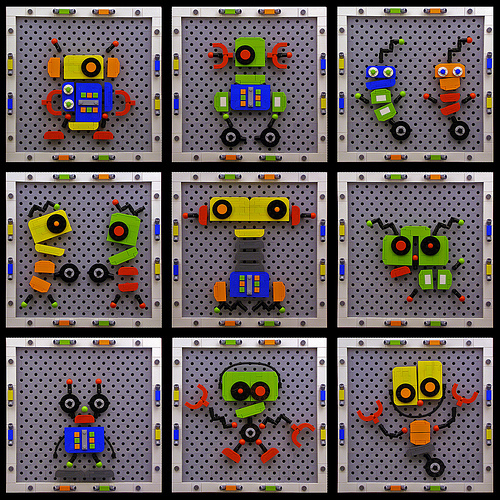 The robot parts are pinned to the backboard and can be rearranged to create endless possibilities. This needs to be on cuusoo like yesterday.